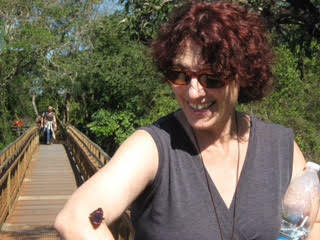 My name is Shlomit Schreiber - I am a Feldenkrais teacher since 2006. I've attended Michal's classes for three consecutive years continuing now to my fourth year. Michal wonderfully expresses Feldenkrais' philosophy in all its aspects. 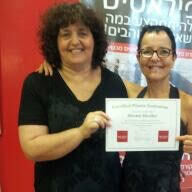 With Michal, I understood and internalized the principles of the Feldenkrais method. I learned to analyze Mr. Feldenkrais' lessons and to understand, in a much deeper way, the anatomical context of these lessons. In Michal's sessions, we held fascinating conversations on all aspects of the system, with Michal guiding us, asking us questions and challenging us. We also spoke about Mr. Feldenkrais' clever conveyance of information. During the sessions we also observed and analyzed F.I. Individual and even whole therapeutic processes. I obtained many new and interesting insights into the method and became (in my opinion) a much better teacher. Michal is a special person and a special teacher, very intelligent and knowledgeable. She shared with us her deep need to explore and understand the system, so that we will be able to better understand it, clearly and simply. I would like to recommend Michal Ritter as a teacher for Feldenkrais, and as someone who, in my humble opinion, is worthy of continuing her career as a Feldenkrais Trainer. I am a certified Feldenkrais instructor and assistant, graduate of the "Tel Aviv 4" course under the management of Hava Shalhav (1998). 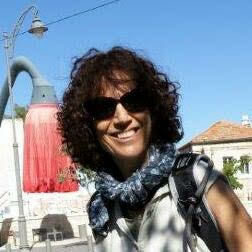 I also served as a co-assistant in various courses by Hava and Ruti Bar in Tel Aviv. Last year I was invited by Michal to attend and participate in her teachers' course, for the purpose of mutual assistance and inspiration. Michal wanted to hear my opinion regarding the manner in which she is conducting the course, from an open and inquisitive stance that seeks to improve her work. She also asked me to give FI lessons to her students. I participated in ATM lessons as a student, and I attended the FI lessons as an assistant. At the end of each day we met to exchange views. What stood out in these conversations was Michal's desire to hear, learn and develop. This year I became acquainted with Michal's many virtues and I gained much myself from our conversations. Michal has created an open, attractive learning environment in which students feel comfortable asking questions and sharing issues. She formulated an orderly, interesting and clear teaching program, which rests firmly on the original materials and conveys the essentials, but not without a personal touch and vision. I found great interest in the way she teaches. The lessons are formulated simply, and reflect the idea clearly in both FI and ATM, so that the content learned in class may be used as a basis for improvisation and personal expression. Being in Michal's presence and being exposed to the way she teaches and manages has been a source of inspiration for me and helped me enhance personal processes. I also enjoyed her generosity to share and provide advice for me as much as she could. I have no doubt about Michal's ability to serve as an adequate Feldenkrais Trainer.